It’s Saturday, so that means that it is time for a book review! Saturday Book Reviews are a part of my Daily Post; to learn more about it, click here. I’m not the biggest fan of this cover. In addition to the plot summary, I find it to be misleading. Wilkerson wrote in a way that was easy to comprehend; her writing reflected a conversational tone, which made it a quick and easy read. The last 30 pages of the novel were tense, and I wanted to read to the book’s conclusion. Oh, I hate when I struggle to find pros for a book but can assert numerous cons…well, here we go. As mentioned, the writing style of this book was extremely rudimentary. While it made this an easy read, I found there to be a complete disregard for basic grammar and mechanics. Had these errors been contained to just the dialogue, I would not have felt quite so perturbed, as the conversation would reflect typical slang formatting. Rather, the writing style, primarily in the non-dialogue passages, was too lackadaisical and unprofessional. In fact every page of this book had at least one error, which made me, an English major, cry. I could not believe that the publishing company had such a disregard for all of these mistakes. Additionally, I was not a fan of any of the characters-both the ones that readers were supposed to like and the ones that the readers were supposed to dislike. First, I found the main character, Celia, to be too much of an annoyance and quite contradictory. Frequently, she snapped at other characters and created havoc. However, at one point in the book she stated, “‘Believe me, I do not like drama. '” I could not even take that line seriously because up until that point she had started every fight with her boyfriend, Victor, and other love interest, Jay, for ridiculous reasons, and believe me, there were many arguments. Additionally, she treated men terribly. All she ever stated about Victor and Jay pertained to their looks and how desperately she wanted to sleep with them, which made all the romance elements of this book to be laugh-worthy. Speaking of romance, let’s focus on her boyfriend, Victor, as a character. He was probably the guy your parents don’t want to meet. He was manipulative and had to be the person in control at all times. If there ever was a moment where he felt inferior, he disappeared-just like Celia (reference above quote). He was detestable. Equally repulsive was the love interest Jay. Surprise, surprise, there was a love triangle in the book. Jay mirrored every quality of Victor, which made Celia’s rash decisions to run to Jay every time Victor upset her completely bogus. No rational person would surround himself or herself with an individual who was identical to his or her enemy. Regardless, these three made a stereotypical love-triangle, which made readers either be Team Victor, Team Jay, or Team You Should Probably be Single because You Seem Slightly Unstable, Celia. Why does this sound eerily familiar? That’s right! It sounds familiar because this plot has been executed many times: girl has guy; new guy comes into the equation; old guy and new guy are enemies; girl has feelings for new guy, while still leading on the old guy; girl chooses who we all know she will choose. This book was just too much like every other post-Twilight and Twilight fanfiction that I have ever read. I was disappointed because I appreciate an author’s boldness to step outside the boundaries and create a fantastical world, but that does not happen in Sweet. Overall, this book was a disappointment. I was anticipating a new vampire world only to be greeted by one that I have visited many times. I’d recommend this book to those who enjoy Twilight fanfiction. 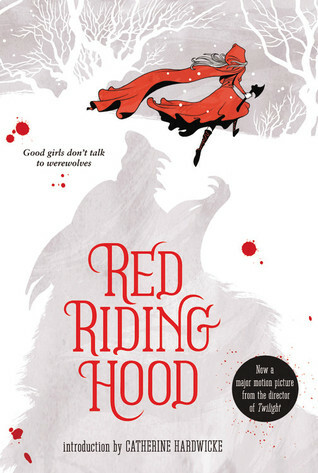 I would not recommend this book to those who enjoy paranormal/vampire novels, as I feel this book would greatly aggravate you for its lack of originality. Well, I apologize for not posting this yesterday; my internet was not working! Anyway, welcome to Worst Read Wednesday in which I talk about a book that I really did not like or did not fall for its insane hype. Worst Read Wednesdays are a part of my Daily Post; to learn more about it, click here. Last semester, I took a class, American Literature since 1945, and this was one of the books that we had to read. While I was slightly perturbed by the cover and summary, my professor assured me that this book was exceptional and quite comedic. However, I found this book to be a complete bore. Primarily, I found the main character, Ignatius J. Reilly, to be one of the worst in literary history. First, he is an oversized brat. He was 30 years-old but still lived and fully depended on his mother’s care; Ignatius could do nothing for himself, which led him to nag and whine about how despicable every other character was in the novel. Second, he did not develop, even in the slightest, as a character in the novel. The book began with Ignatius as a brat and ended with him as a brat. He had no motivation to change or become a better person. Rather, his obsessions with being superior over others drove the other characters and me absolutely insane. Additionally, I found that the novel had no purpose. I could not (and still cannot) appoint any specific rising actions, climax, or resolution in the book. In general this book was kind of like picking up some insignificant person’s diary and reading 300+ pages of their monotonous life. 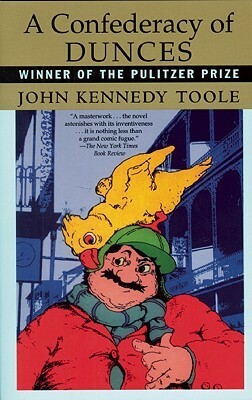 I know many people hail A Confederacy of Dunces as a classic and is favored by many, but it just was not for me.